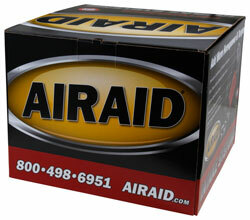 The AIRAID 200-187 fits some Chevrolet Silverado 2500 HD, Chevrolet Silverado 2500 HD Classic, Chevrolet Silverado 3500, and Chevrolet Silverado 3500 Classic models. See vehicle applications for details. In 2007 my dad bought his dream truck which he has handed down to me an 2006 Duramax, this filter and box setup soon after purchase and it has provided years of perfect service and has even survived a wreck (with slight bending of the filter); but continues to do exactly what it says it does all these years later.